Paulton Parish Council supports local good causes that benefit parishioners. See below for 2018/19 Grant awards. Information regarding 2019/20 Grants will be posted on this website in January 2019. 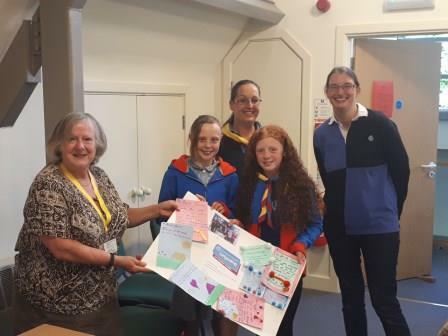 Anne Lyons, Chairman of Paulton Parish Council, accepting a thank you card from Paulton Guides for their 2018/19 grant award.